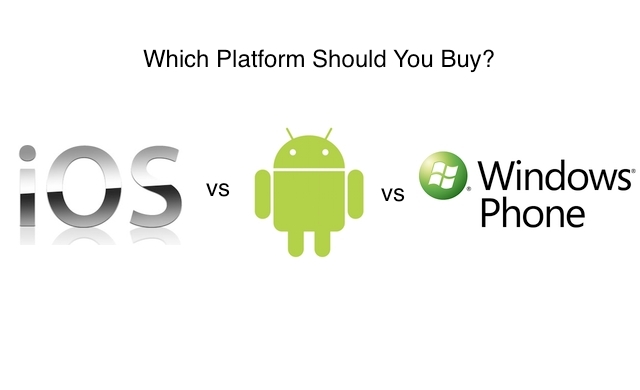 iPhone vs WP7 vs Android – Which platform should you buy? Every day I get more and more questions from different viewers on which platform and phone should they spend their hard earned cash on. I try and help you answer that question in this video and walk you through how to determine what is right for you. One major reason I chose Windows Phone 7 was Zune. I really love Zune Pass with the unlimited music across my phone, my PC and my Xbox. Smart DJ is a Zune feature where you tell it an artist and it makes a whole playlist for you with different songs from different artists but with a similar style to the artist you told it. I chose Windows phone 7 for three reasons. One I liked the integrations of the basis apps in the OS. Second because I like Zune. And third, the way the OS looks. I Chose WP7 because of the zune, xbox, office services. I have used Android and WP7 phones. I was an avid ROMaholic using Android. Very heavy into the customization of the OS. I found that I was spending too much time trying to make the phone work the way I wanted it to. With the fragmentaion of the Adroid OS across platforms, there were pieces from different manufacturers that I wanted and thought should be included in the core application, so I would look for a custom ROM that took the best of them all. Not to mention the fact that my manufacturer was not keeping up with the update cycle of Android made waiting for the new functionality that Google was releasing very difficult. So I switched to WP7. I have to admit, I’m a big Microsoft fan. I am and avid user of the Zune software and the XBOX. The idea of “owning” music has passed me. I can’t tell you how many CD’s and MP3’s I have owned that end up gathering dust after a couple months of listening and I don’t have the time to dedicate to keep up with the latest music and managing playlists. I’d rather pay a monthly fee and have access to music anytime and utilize Zune Channels to help keep me up on the music scene. (I have to admit though that the Zune Channels have been lacking lately. Not sure what Microsoft is doing there,but I hope they bring that back to the front and center like it was on release.) It’s also pretty fun to be somewhere with a group of WP7 haters 🙂 and have a song come on, use the Shazam app to figure out what it is and download the song to the phone within seconds and start playing it. I also use my phone for email for work. As most of corporate America, we are big users of Office. Emails with Excel and Word attachments are pretty common and the usability of the Office application on the Phone is of course top notch. Would like to see a universal email view, but the Conversations view coming in Mango is going to be very welcome. We also use OneNote application, again the tight integration is great. As you may have determined, WP7 is my choice. Like Apple has said from the begining, It just works. And that my friends is what WP7 is like, It just works. – You can enter the marketplace and download free trials and free apps without first providing your credit card number. Im sure there are more reasons, but those are the few I can think of now. Have used all 3 at one time or another. And without a doubt I like my ‘experience’ on WinPhone7 the best. It is by far the most modern and best integrated, it feels light years ahead of the other 3… you forgot Blackberry. (BTW, love the BB keyboards — they are best) When I pick up my old iPhone it just reminds me of a well oiled PalmPilot but it seems poistively ancient as far as the user experience goes also that damn proprietary connector is a BAD thing, not a positive, give me microUSB anyday. Android I love for its potential but Google can’t fighure out: a) interfaces and b) integration, when it does their products may be great. Anyway, I have to give MS credit for their new platform, it is extremely well done. I chose windows phone because I love the interface and its so smooth nad fast. I’m not a huge apple person but I do like the iphone over the android, as for android I don’t like the fragmentation at all plus the viruses that you get get right from the android marketplace.. I beleave cell phone OS’s should all be licensed technology to protect us end users. WP7 for me. The zune integration (music syncing, photo syncing, etc.) is flawless and in my opinion better than the itunes version, though this may change when over the air syncing happens. Games are still stronger on iphone just because developers have had more time to make it happen, though gaming on WP7 is definitely not bad even in this early stage. Android gaming was often frustrating to me (galaxy s) because there were so many different devices that the software had to be optimized for. If you want games, you would be best to go with the iphone. For great email, music, picture taking, webbrowsing, decent gaming, and a beautiful and smooth interface, go for WP7. After lots of watching videos on YouTube and trying out peoples phones (and being a big Apple fan previously) I decided to get a Windows Phone 7 – HTC Mozart – as it seemed amongst the most secure and seriously the most modern os. Android seems to be a copy of the iPhone, with icons, but WP7 has live Tiles and Hubs, which gives a broad access to things like People, Pictures and Music/Video. I also got the Zune Pass, so instant access to download over 10 million tracks directly to my phone, by wifi or over the air. The tracks are copied to my computer when I connect my phone. Also there is Xbox Live, great for game. There’s also Office (OneNote, Word, Powerpoint and Excel) on the phone. Also with a Live Account, you get SkyDive, which is 25Gig of storage in the cloud. All emails, calenders, Office docs, photo’s etc can be stored here and easily accessed from the phone or computer. You can choose to upload pics taken on the phone to Skydive automatically. Also there has been issues with Android apps, where 50 have been taken down as they were capturing sensitive data from phones, as Android apps are not checked. Apple and WP7 apps are checked before being released. With he advantage of intergration of many services across the phone, Xbox and computer, I believe this will be really beneficial long term. Love the os, although it has limitations at the mo until Mango is released, will now stay with Windows Phone. I’ve used all of the above, and I like the fact that the WP7 phones combine the stability and capability of the iphone, with the customizeable experience and choice of hardware of Android, and adds valuable features like zune and xbox integration and excellent battery life. well i lyk customization in ma cel, apps, open os..its a great platform n has potential to be even greater so my support is 2 android..